Palm Desert, California, is literally an oasis within the Sonoran Desert, the driest desert in North America. 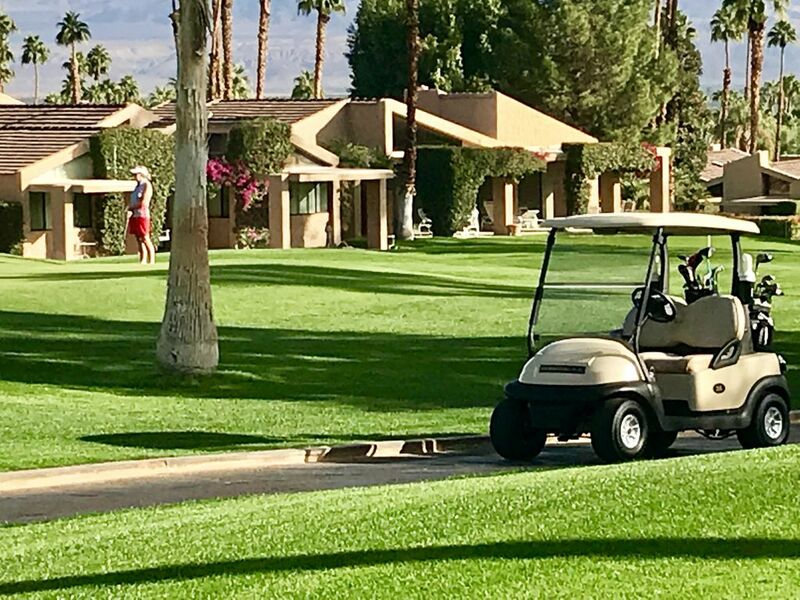 Palm Desert is just 14 miles (22.5 km) east of Palm Springs in the Coachella Valley and is a beautiful city with hiking, golf, entertainment, and relaxation. Whether you’re here to sunbathe, hike, bike, or hit the spa, there is no shortage of activities in the Palm Desert area. Clearly, to maximize a true vacation one needs a great home base. 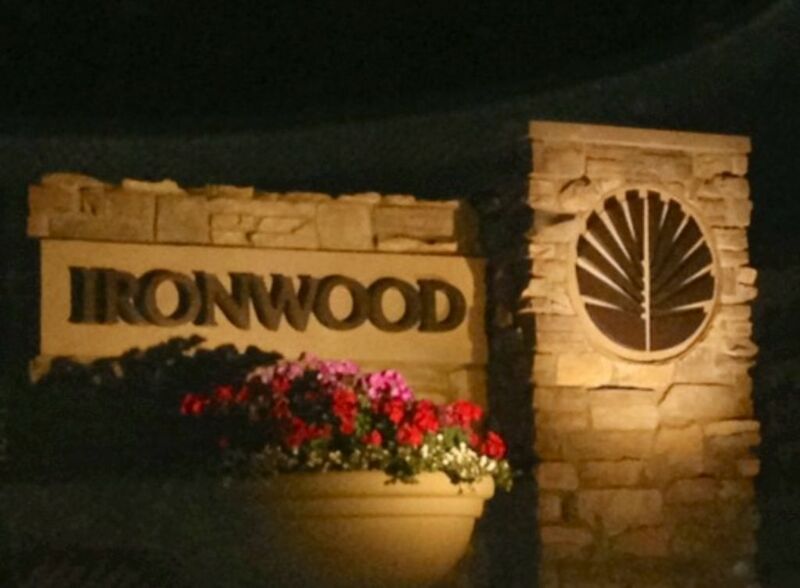 These are the best VRBO accommodations in Palm Desert’s very own Ironwood Country Club, a golf-lover’s dream. From condos to pools, sunshine and panoramic views, these private rentals have it all. 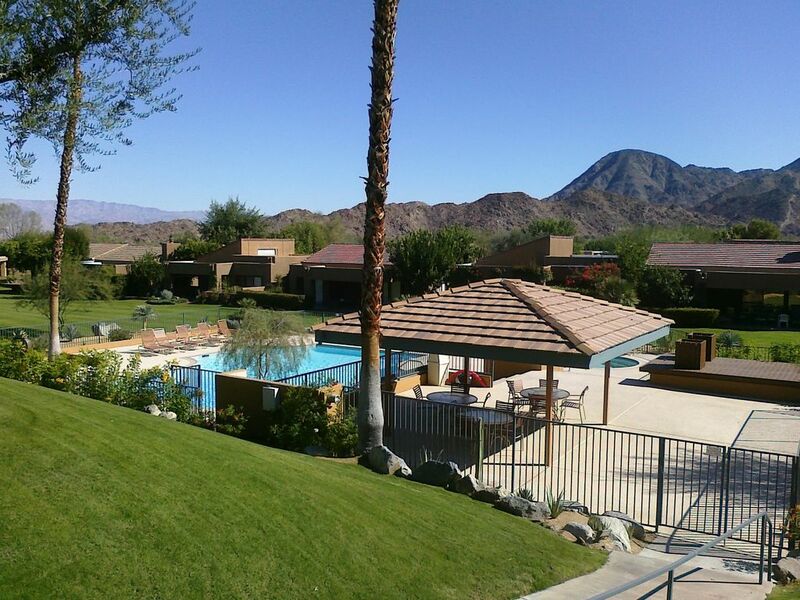 Read on to check out the best VRBO accommodations in Ironwood Country Club for your Palm Desert, California vacation and get booking today! If you dream of palm trees and sunrises, with mojitos by the pool, then this one’s for you! 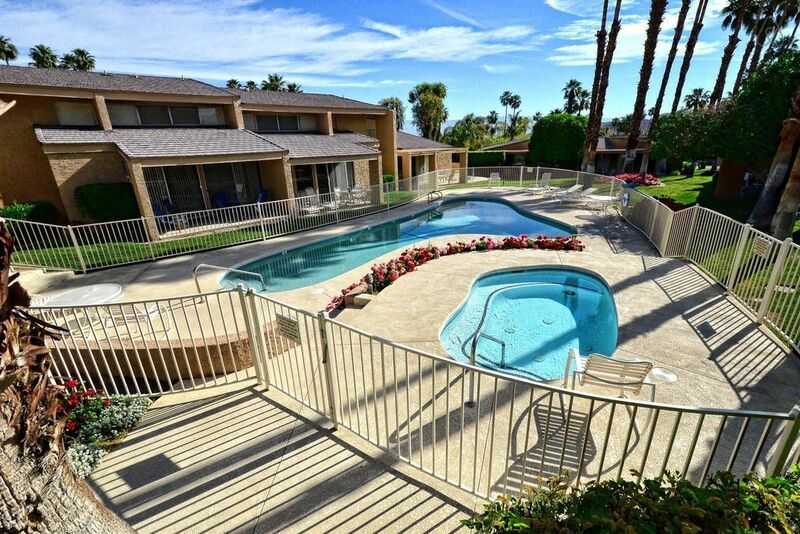 A beautiful condo for four, this Ironwood Country Club home sits right next to the pool and Jacuzzi, making relaxation ever-accessible. 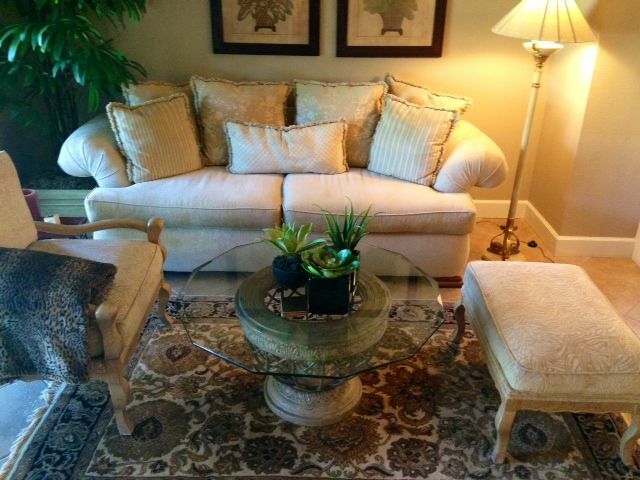 With vintage and world-inspired decor, you feel the calm and tranquility of the homeowner’s aesthetic. Close to restaurants and entertainment, it is easy to get into the vacation vibe. Rental here is for a minimum of seven nights. 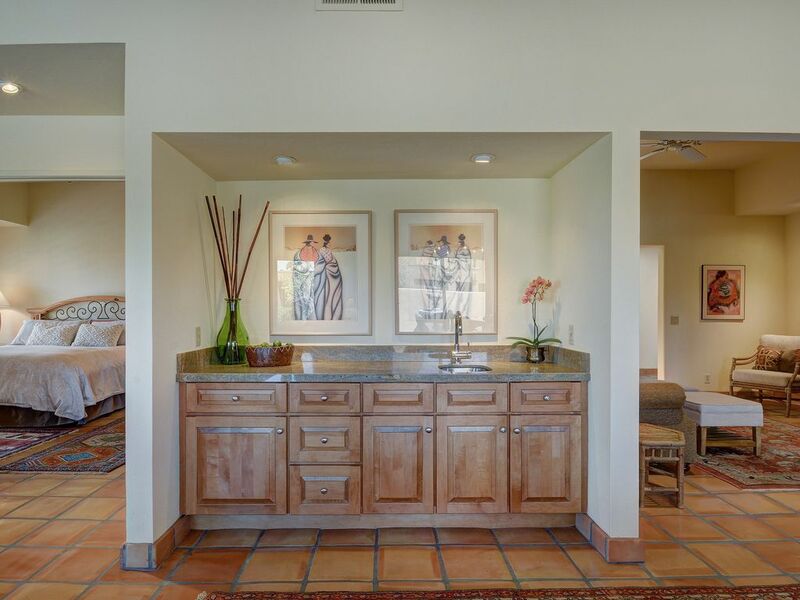 This clean and calm condo faces the Sonoran desert with a horizon of the Santa Rosa Mountains. For hikers, this is a great pick as mountain hiking trails are within walking distance of this two-bedroom gem. Only 100-200 feet (30-60 meters) from the palm tree-lined pools and spas, this is a true slice of paradise. 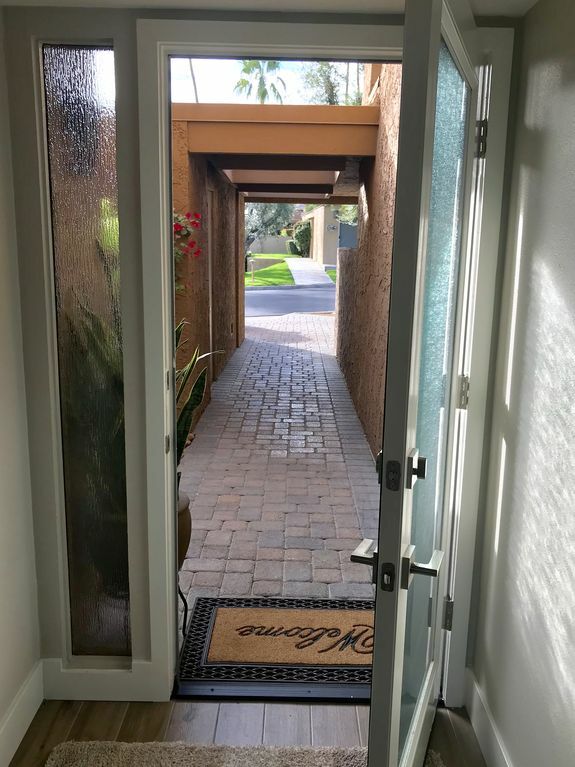 A little bit of walking and you get to play golf on the Ironwood course or check out local activities such as the Living Desert Botanical Garden and Zoo. 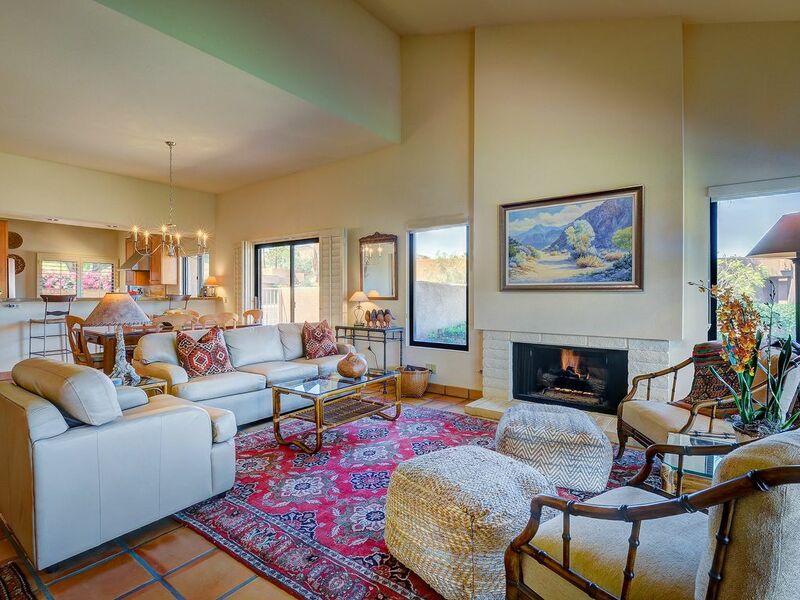 Fall in love with the mountain air from your very own views of Mount Eisenhower and the eastern Santa Rosa Mountains. 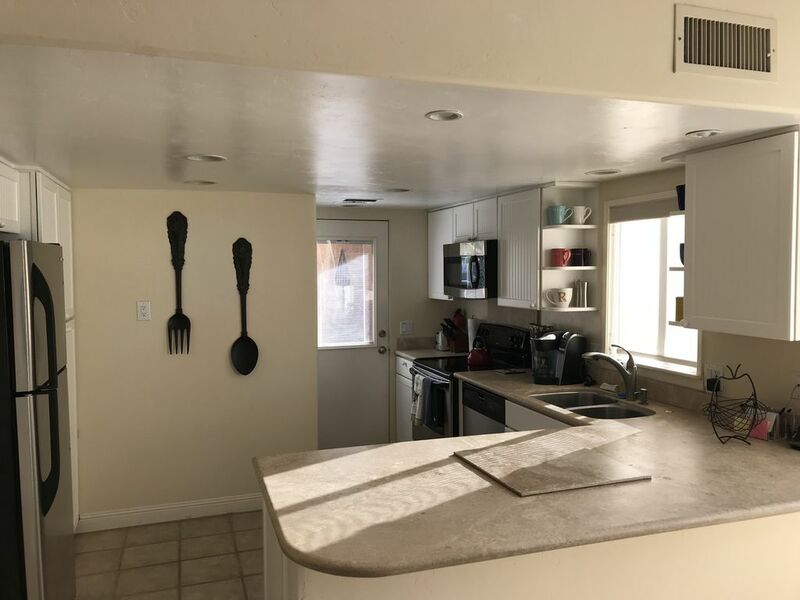 This two-bedroom condo has been recently remodeled and touts Southwestern decor including an interior courtyard, a stone gas fireplace, and travertine floors. Check out the best hiking and biking spots in the Southwest just steps from your private rental. Head over to the pool for a morning dip or an afternoon sunbathe. Life has never felt so sunny! Completely Remodeled and updated! Sheik decor, a first class desert experience! right out the front door, across the street, just past the grass is the pool! 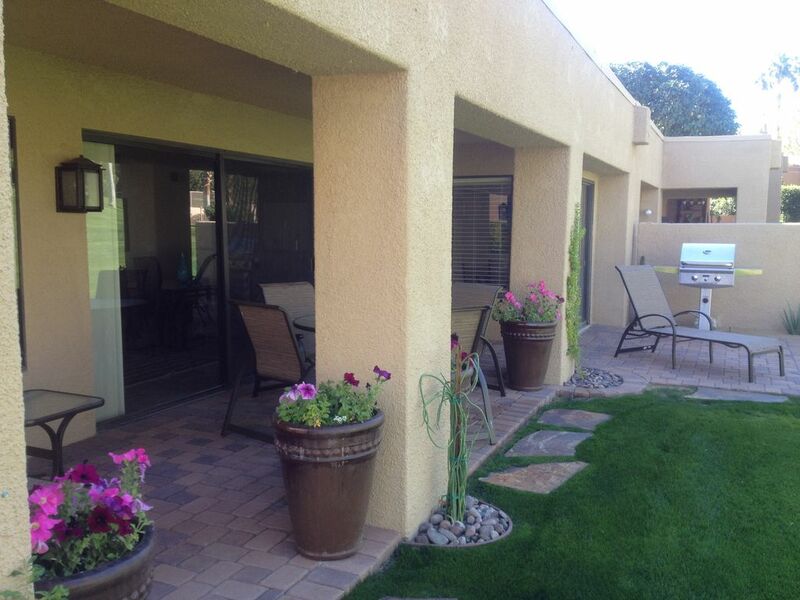 Patio living right on the green! be a golf spectator while eating breakfast! This is 1 view from the back patio, and lots more! 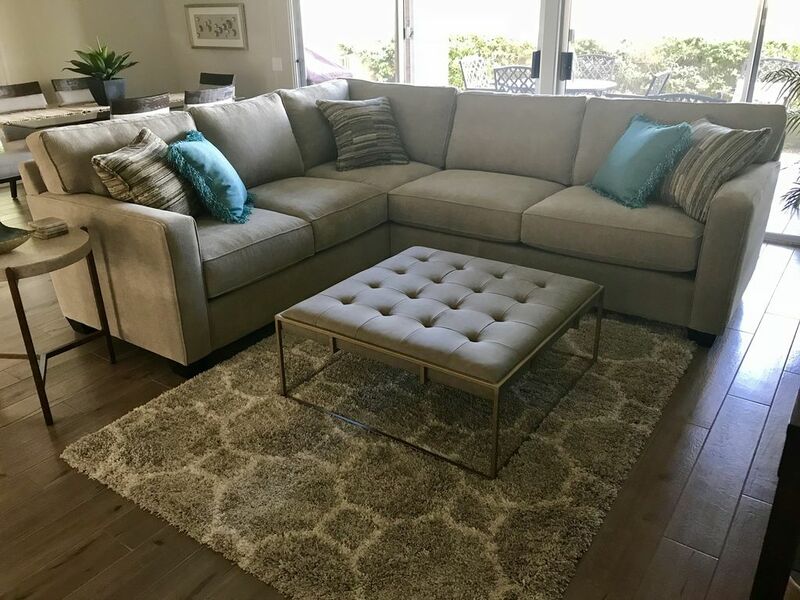 All new furniture! Sheik yet comfortable! Sparkling clean and neatly decorated, this is a real showstopper for those who love a newly renovated feel. 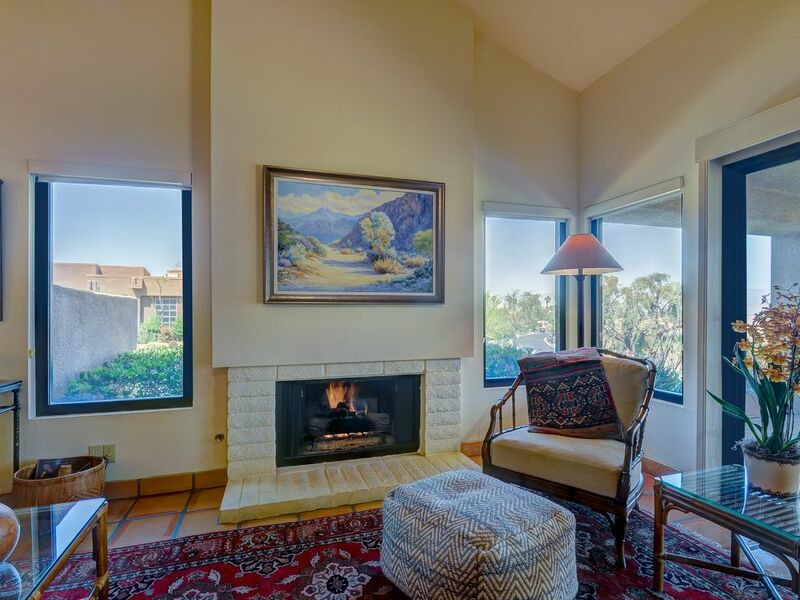 Wake up to the sounds of the birds singing from your patio and views of the Santa Rosa Mountains. With spa-like showers, a sunny patio for coffee or cocktails, and enough space for six, what’s not to love? Oh yes, did we also mention that one furry friend (under 25 lbs, 11.3 kg) is welcome for free? So bring the whole family to this elegant three-bedroom accommodation? 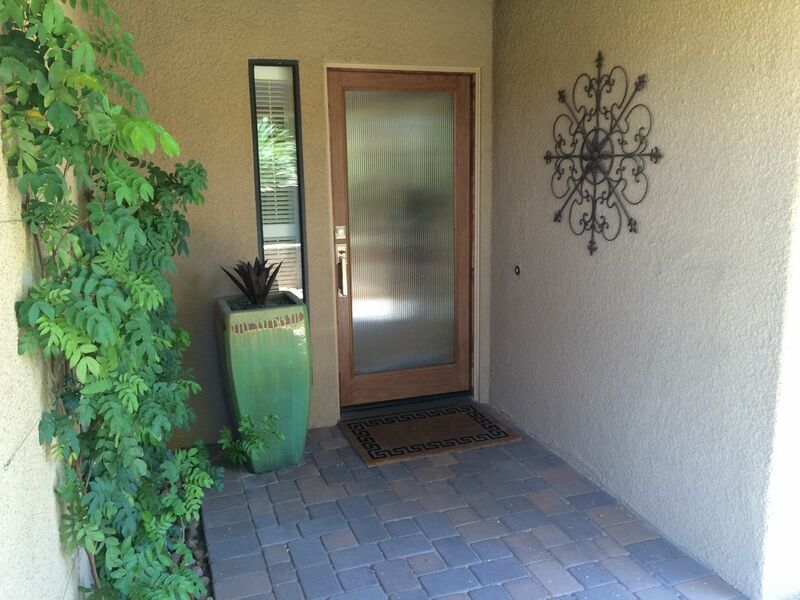 TOTALLY REMODELED, 3 BEDROOM, 3 BATH, ON GOLF COURSE, PET WELCOME! If you’re ready to play round after round of golf or tennis, this is the place for you. 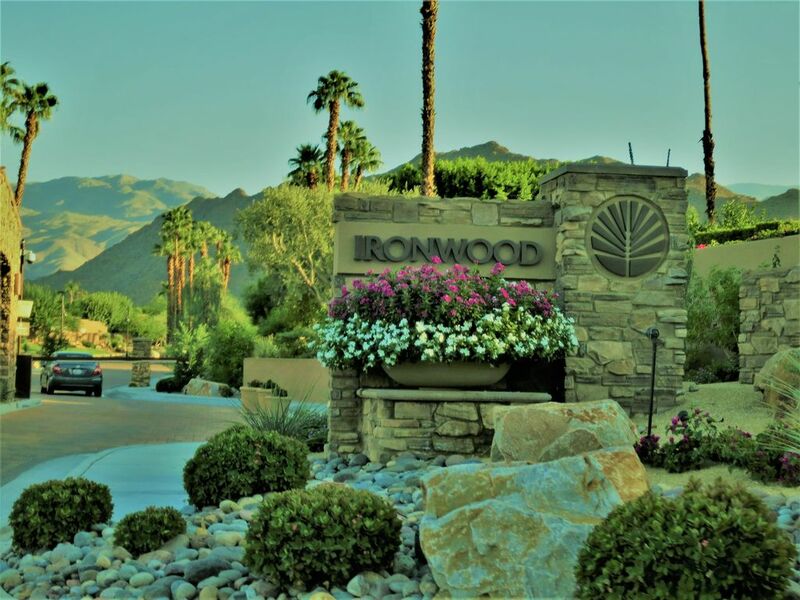 With direct access to the Ironwood Country Club, enjoy all the area has to offer including on-site swimming pools, nearby restaurants at El Paseo Drive, and the gorgeous desertscape. 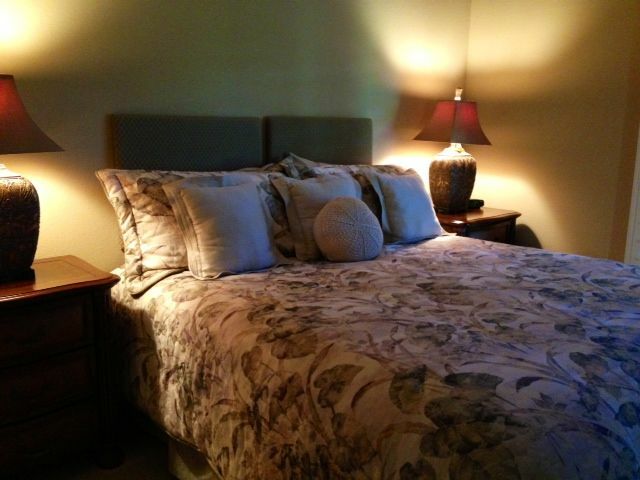 Each bedroom has a king-sized bed and bathroom, ensuring every guest enjoys ultimate comfort. Enjoy an outdoor grill, WiFi, and three TVs with DVD players. This stunner of a two-bedroom condo will leave you with views that take your breath away. 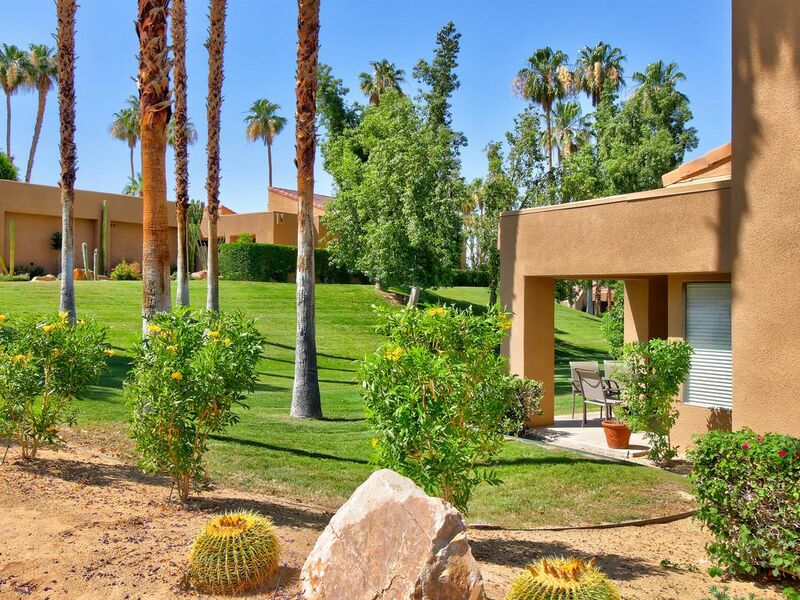 Sleep in the master bedroom overlooking the golf course or take in the sunset from the couches overlooking the desert. 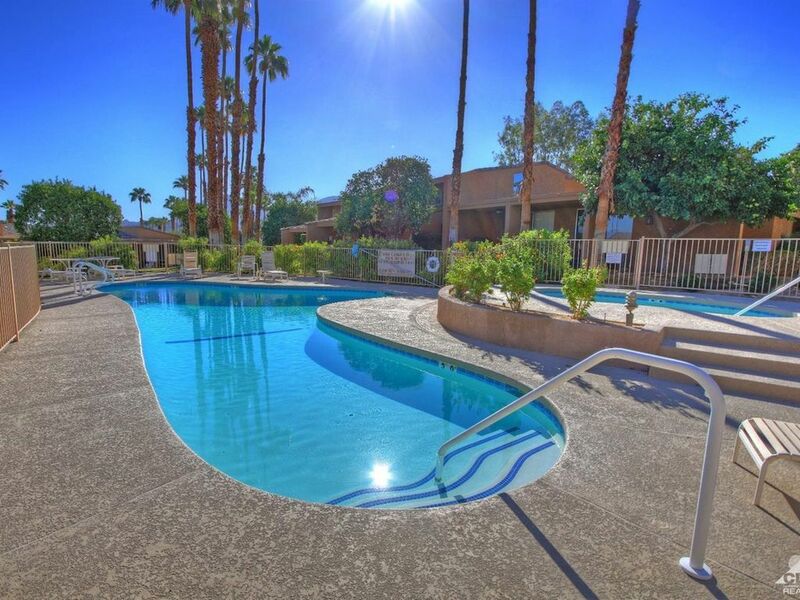 The property is also a close walking distance to the pool. Enjoy TVs in each bedroom and the living room. 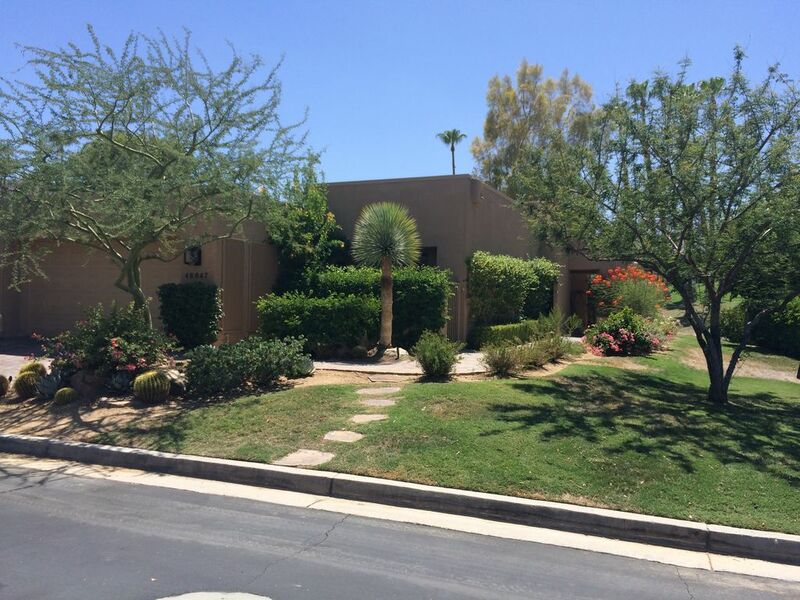 Fruit trees and flowers line this single-story home on the 12th green of Ironwood Country Club. Book now for a January 2020 two-week special. 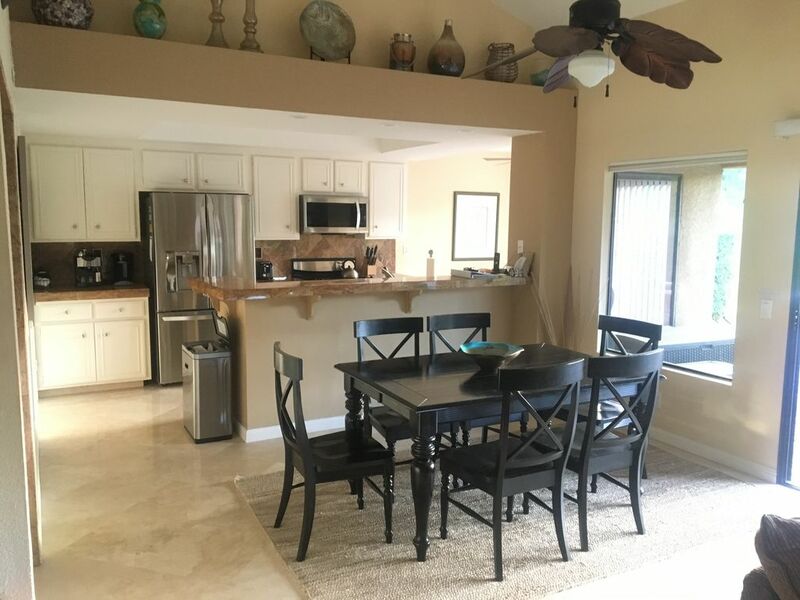 This wonderful two-bedroom condo which can sleep four has everything you need for a true vacation. 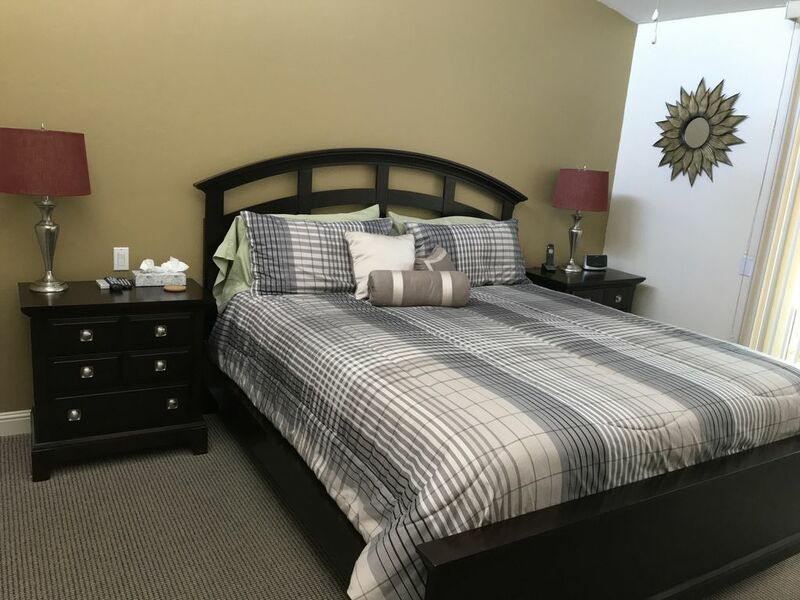 With sunny views of the expansive golf course, stainless steel appliances, speedy WiFi, high definition TV, and in-suite laundry, comfort is guaranteed. Soak up the wafting scents of oranges from the citrus trees below or enjoy the bubbly water at the hot tub, just steps away. With an average of 350 sunny days a year in Palm Desert, you can’t go wrong! 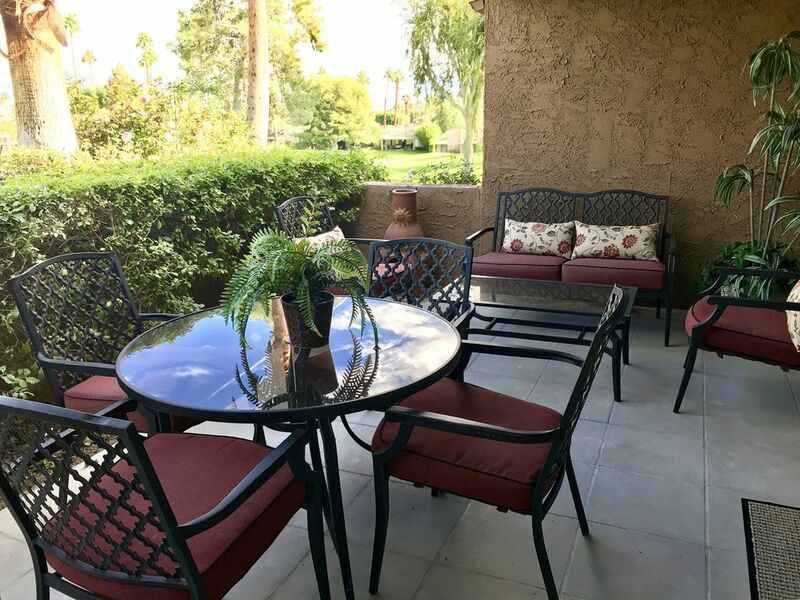 Relax On The Patio and Enjoy The Golf Course View! This new-to-the-market condo for rent is clean, bright, and airy. 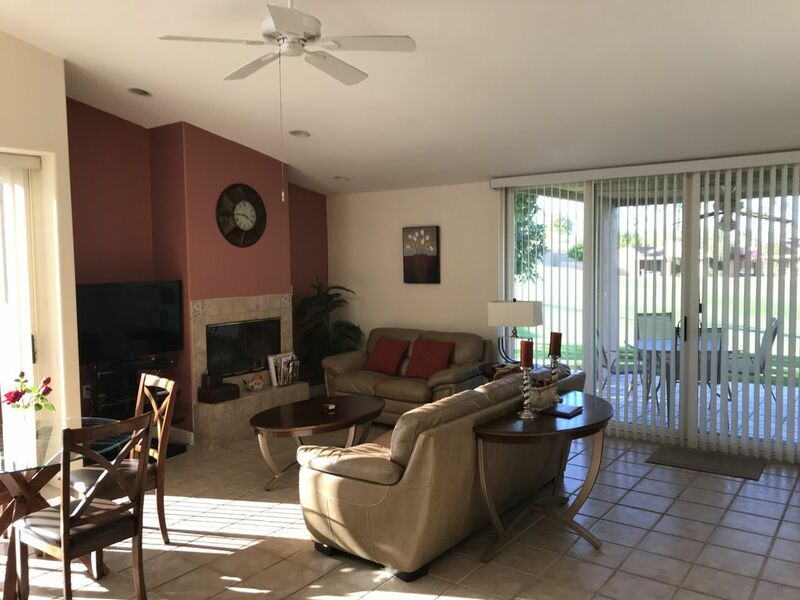 With two bedrooms suitable for up to four guests, this Ironwood Country Club home is close to the golf course and the beautiful Santa Rosa Mountains, including the San Jacinto National Monument Visitor Center. 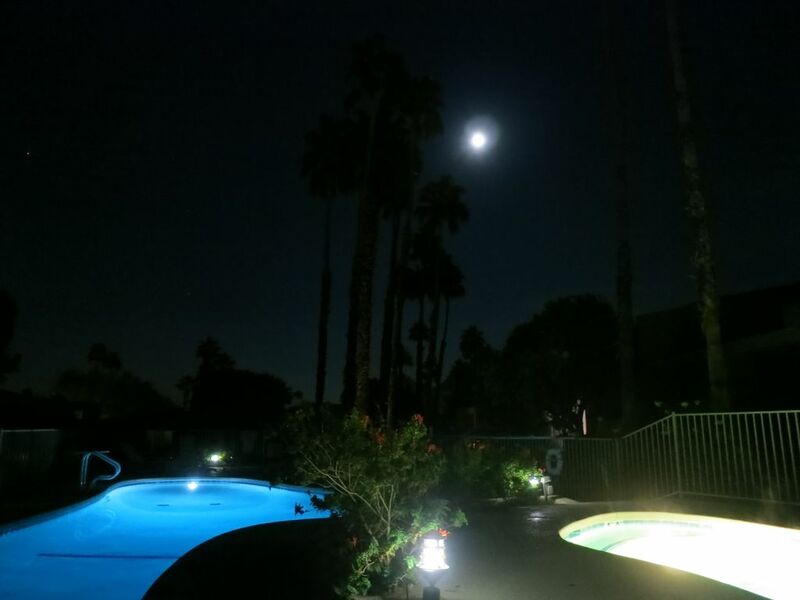 A shared hot tub and pool are on the grounds, as well as a in-unit fireplace for cold desert nights. 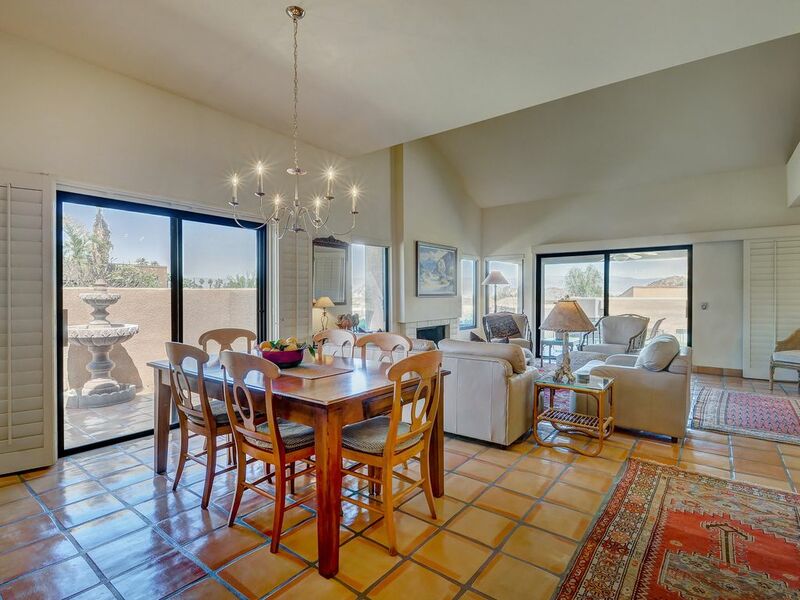 Children are welcome at this versatile rental in the Sonoran Desert. 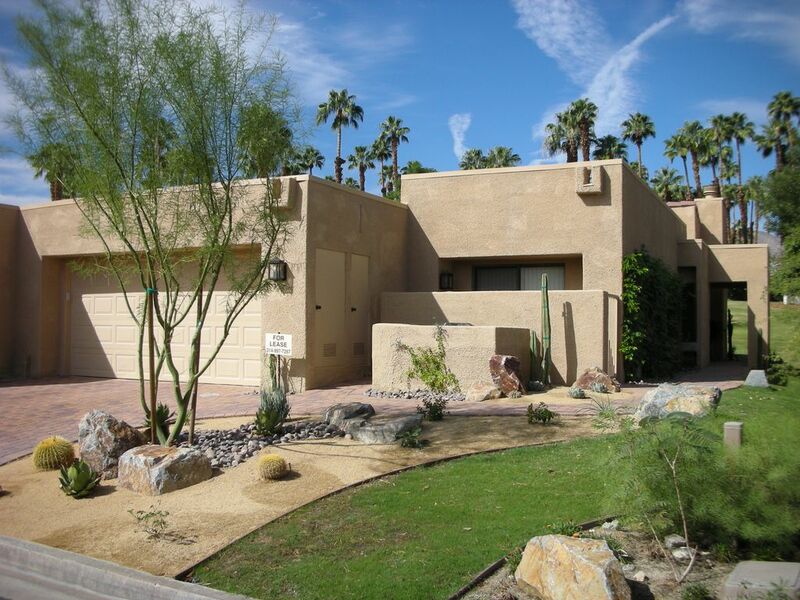 Modern desert landscaping greets you as you pull into the two-car garage. Lots of light comes through the front entry privacy door. 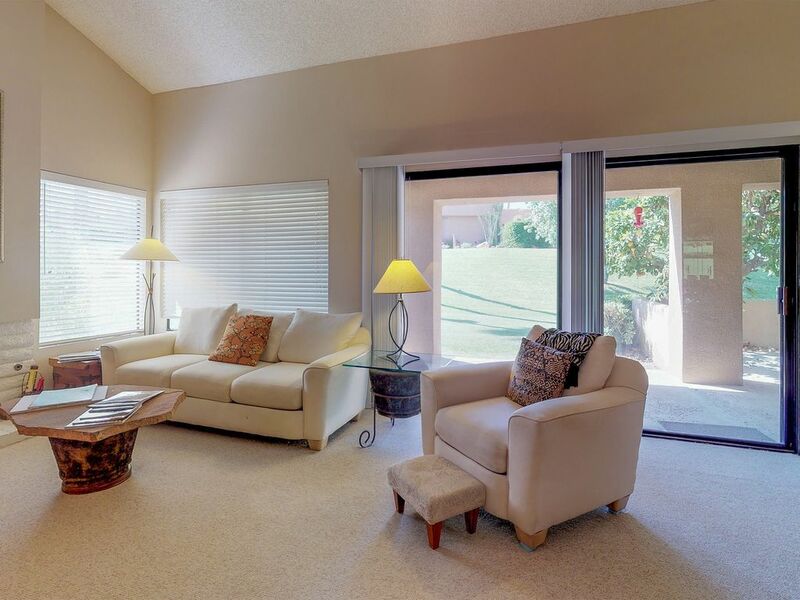 Living room overlooks large outdoor patio, 10th green, fairway and mountains. 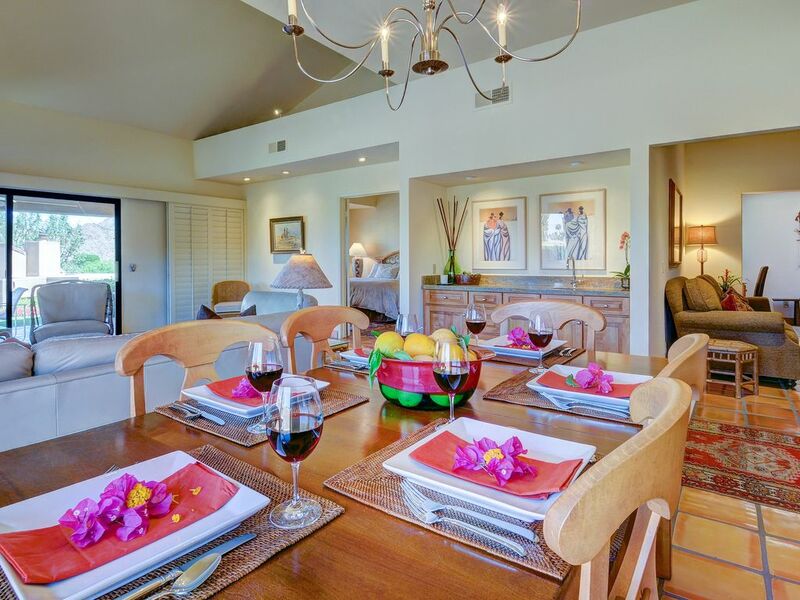 Dining room and kitchen also overlook the patio, 10th green, and mountains! 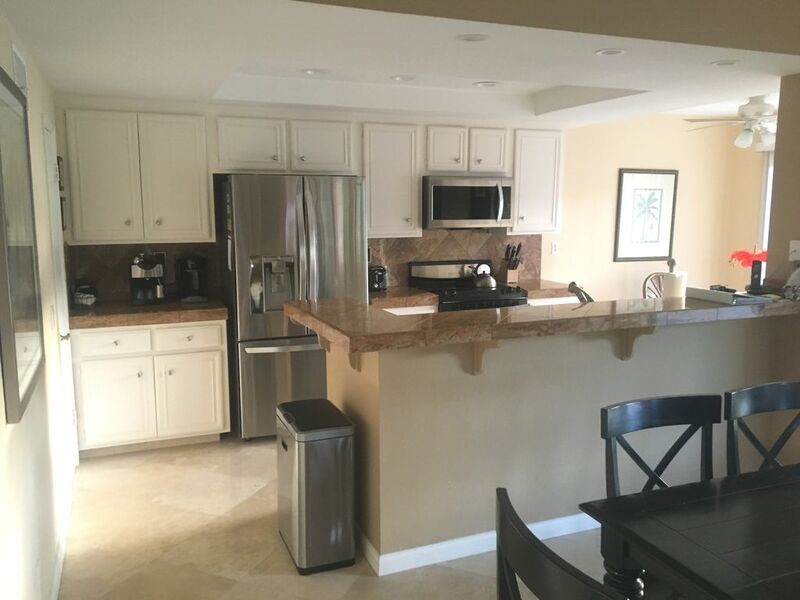 Kitchen is clean and fresh with stainless steel appliances and granite counters. 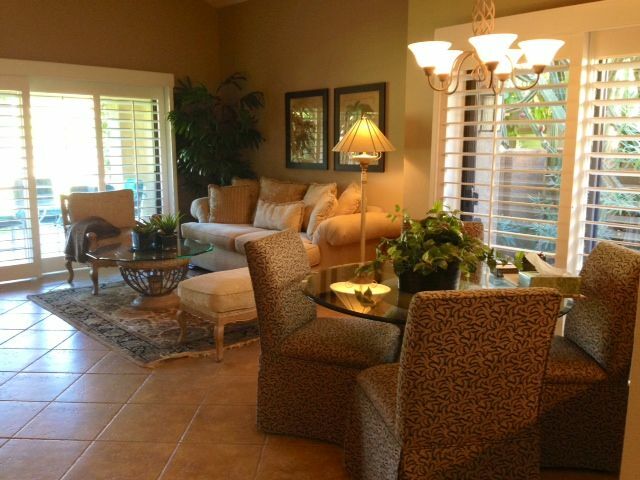 This calm home sleeps five and is a beautiful desert home within the Ironwood Country Club. 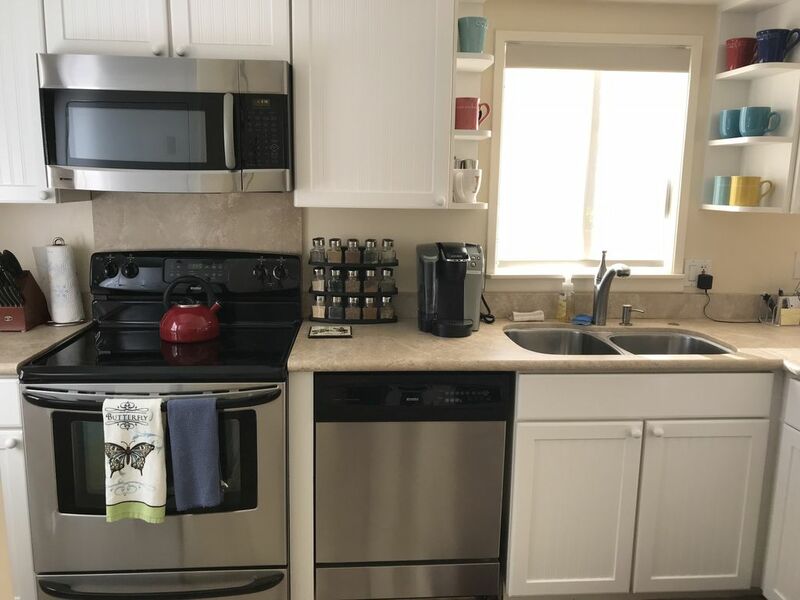 A fully equipped kitchen makes it easy to whip up gourmet food. 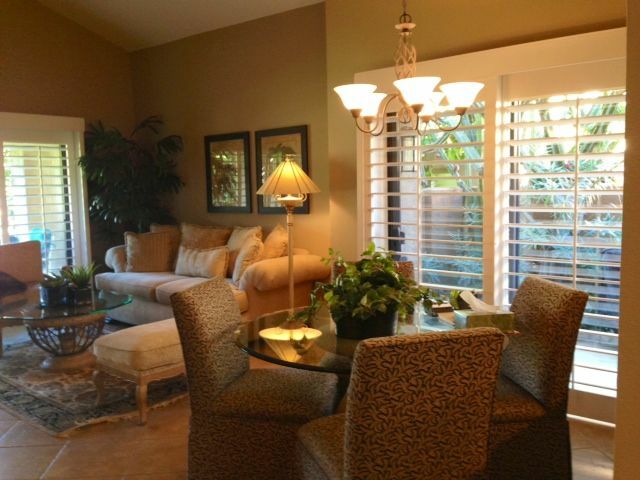 You can also take advantage of its close proximity to downtown Palm Desert for dining out. A new patio set, barbecue facilities, nighttime lighting, and your very own bubbling brook may make you never want to leave. 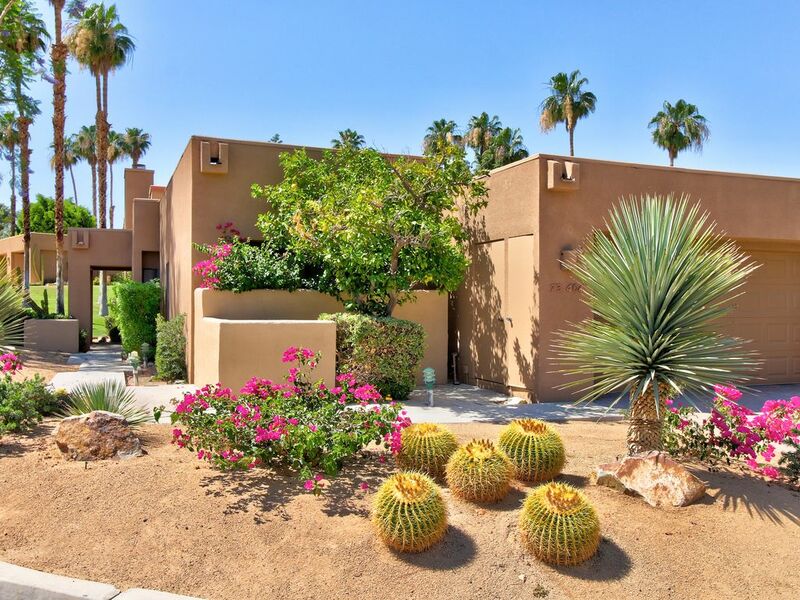 Come get desert rejuvenation at this wonderful abode. 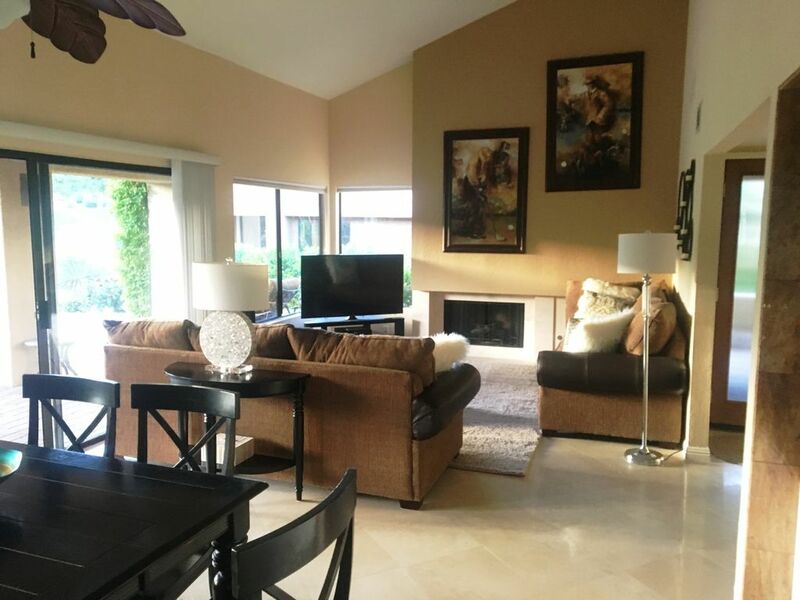 There’s something royal about this vaulted-ceiling condo for four set adjacent to the golf course. This corner lot overlooks the mountains, offering a unique serenity. A stone-shower and two-sink vanity make even bathing a treat. 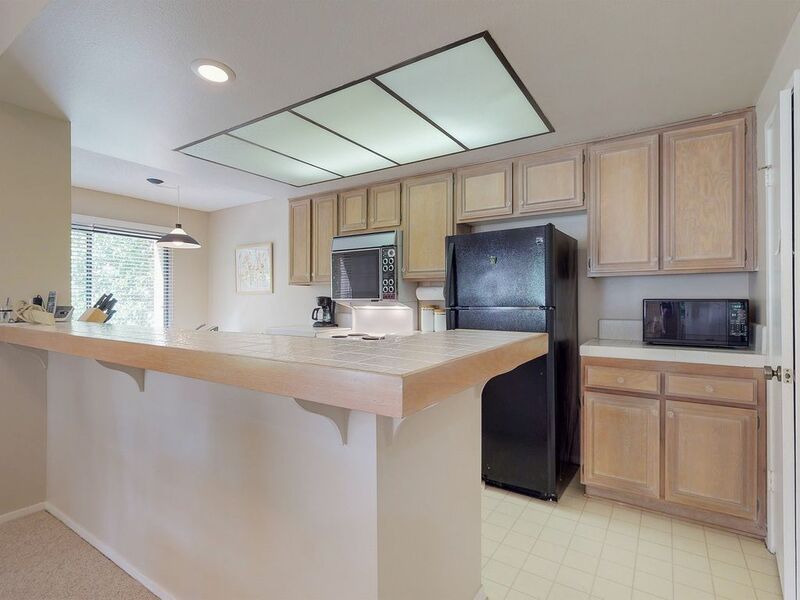 Enjoy the skylight windows and gas fireplace when the nighttime falls. 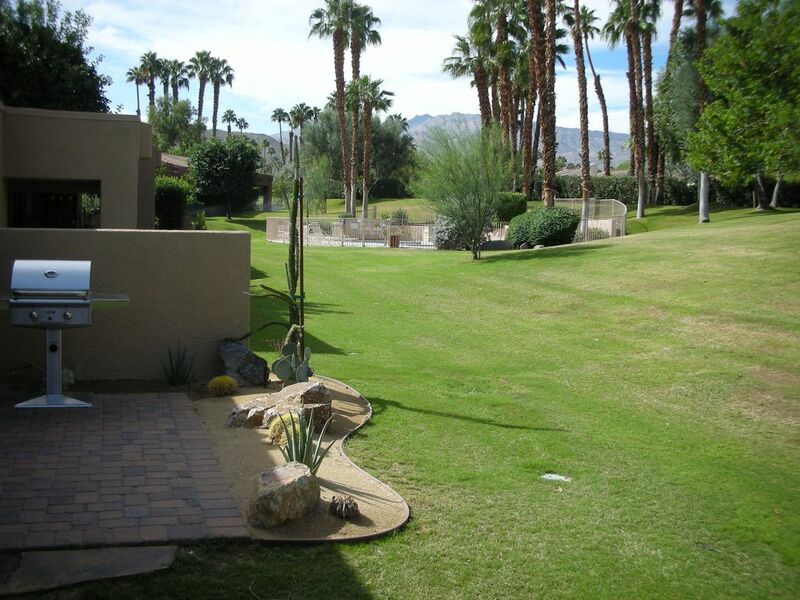 Close to all that Palm Desert and Ironwood country club have to offer, you will revel in your experience! A minimum of seven nights is required with this rental. 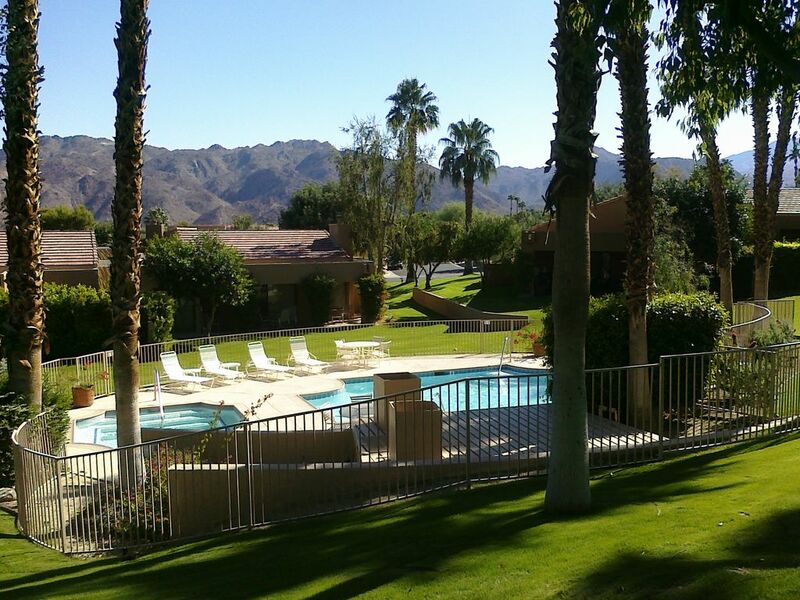 Luxurious Resort Property with Stunning Views in Ironwood C.C. 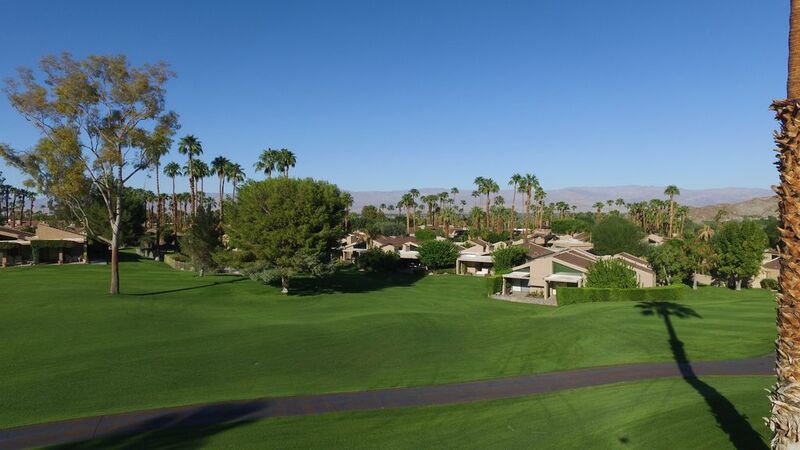 The Ironwood Country Club in Palm Desert, California has no shortage of sunshine or glorious mountain views. 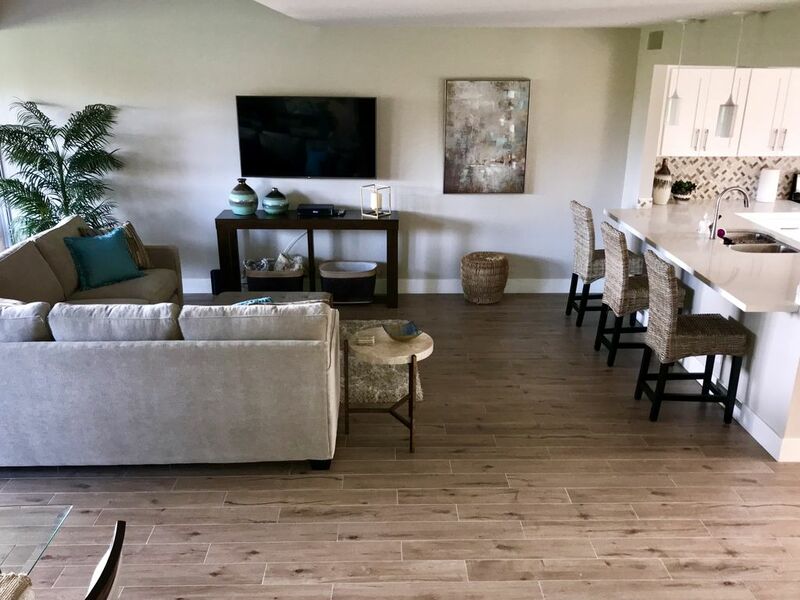 There is really no bad choice when booking one of these top VRBO accommodations. Hopefully this list has inspired you to push “book” on your screen. After months of the long and cold winter, it’s time to enjoy the desert sun.